How to become the Gordon Ramsay of Tumblecube Island. There's a new Pokemon game out for Nintendo Switch right now, and it's free to get started. 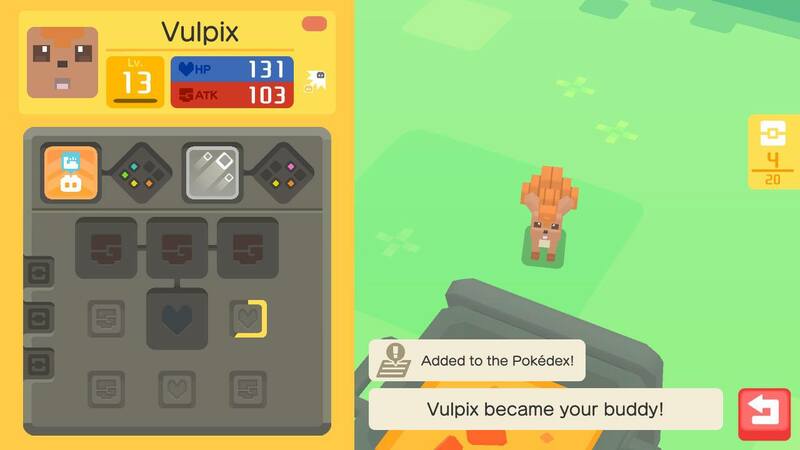 Pokemon Quest plays quite differently to previous games in the beloved series, with a trio of Pokemon automatically battling waves of enemies in the wild in order to gain EXP and earn items to make themselves stronger. A key difference is that you no longer catch new Pokemon using Pokeballs, but must instead lure them into your basecamp by cooking different recipes in your pot using ingredients foraged during your exploration. Trouble is, the game doesn't give you much guidance on what to cook, or how, in order to attract your preferred Pokemon types. Worry not, wilderness gourmet. We've got everything you need to know right here. The "how" part is pretty simple. Just tap on the cooking pot in your camp, and drag five ingredients into it and start cooking. Each recipe will take a certain number of expeditions before it's ready, although you can speed it up by using PM tokens if you want. The idea is that you experiment with different combinations of ingredients, and whenever you discover a new recipe - there are 18 in total - it gets added to your recipe book for future reference. Each time you cook, you'll attract one new Pokemon to your camp and can add them to your team. There are ten ingredients on Tumblecube Island, though some are more common than others. Even once you've unlocked a recipe, the description is deliberately vague and there are often multiple combinations that will give the same result. That's because each ingredient has several properties that a recipe might require. For example, you may be asked to add "a lot of sweet things and a few hard things". Just scan the list below and pick items that have the neccesary properties. 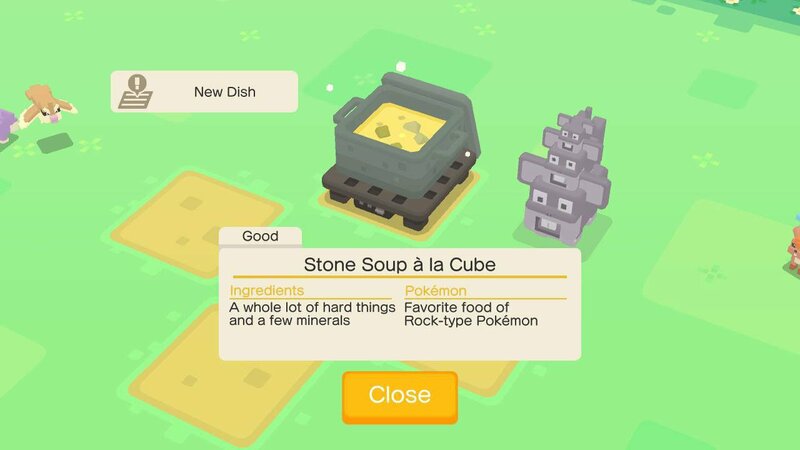 There are 18 different recipes to make in Pokemon Quest, and here's a list of what Pokemon type each one attracts, and the sort of ingredients needed to cook it. 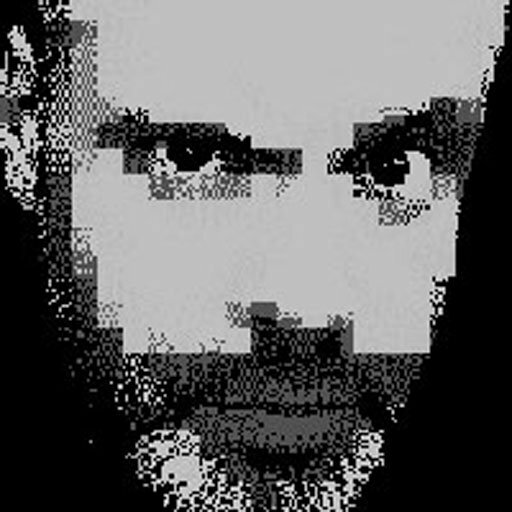 It's also worth decoding the vague amounts the game suggests. When it asks for "all", that is pretty self-explanatory. Just make sure all five ingredients match the criteria. When it asks for "a little", that means one item. "A few" means two. "A lot" means three, and "a whole lot" is four. 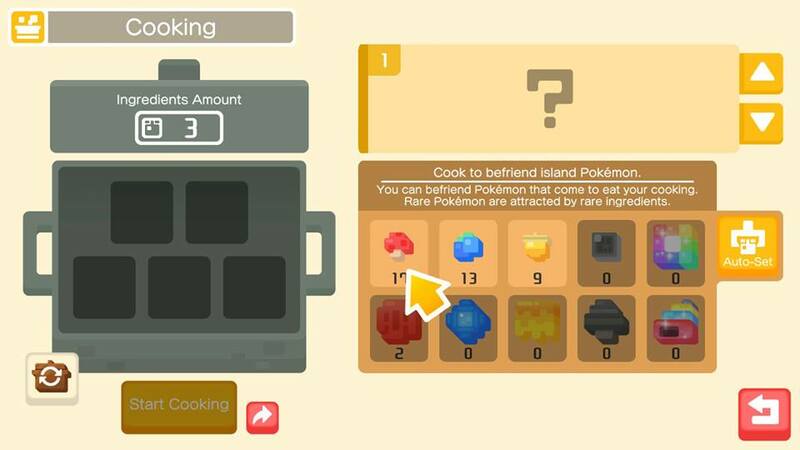 Also bear in mind that as you progress through the game, you will unlock different cooking pots which require more ingredients per slot but attract higher level Pokemon. You will also eventually be able to have more than one pot on the boil at the same time, so plan ahead! That's how you cook in Pokemon Quest. Now you can go forth and craft the perfect menu to attract your ideal Pokemon squad, rather than blindly throwing stuff into a pan to see what happens! We'll update this guide if any more cooking tips come to light, or if more features are added to the game.